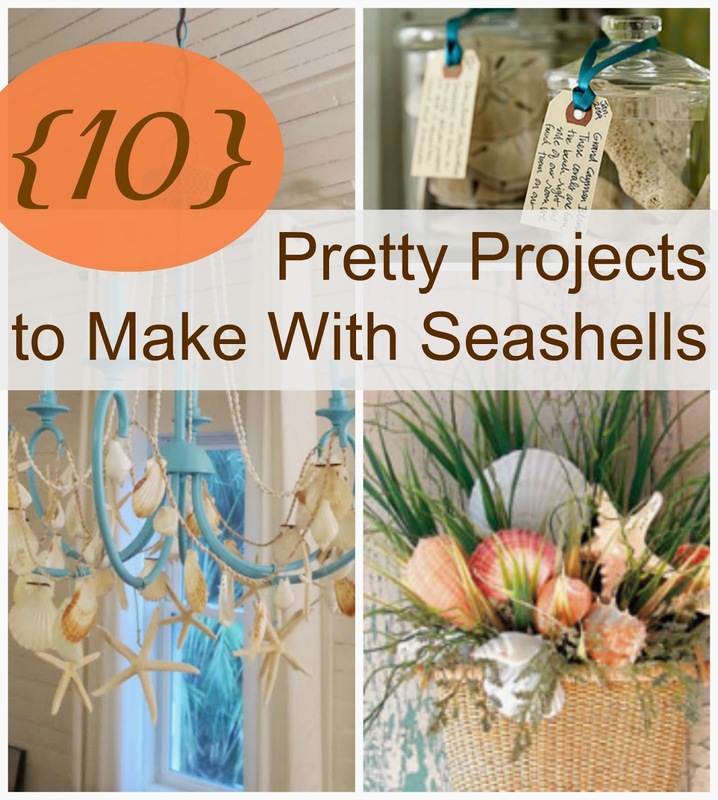 Google+ House Revivals: 10 Pretty Seashell Projects! I adore seashells. As a little girl, my mother taught me the joy of wandering quietly on the beach in search of the perfect shell or sand dollar. That love of beachcombing followed me into adulthood. I now have bowls and baskets of shells -- keepsakes from the many beaches my family has visited. For years, I was able to keep the collection in check, but then we bought the beach house, and things got out. of. control. My husband has suggested we don't actually need three ginormous baskets of shells in our living room (please, nobody tell him about the ones stashed in various closets). Add wax and a wick to create unique candles! 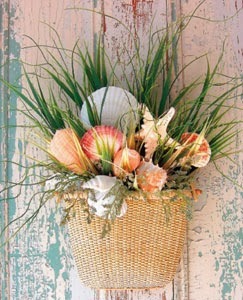 Use shells in botanical arrangements. 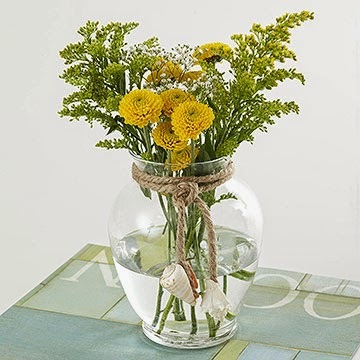 Tie a jute swag around a vase and glue shells to both ends. At Finding Home, you'll find this lovely nautical swag made by tying shells and starfish to a length of rope. 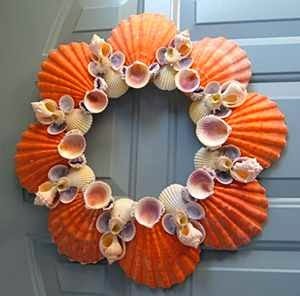 Try dying some of your shells a cheery color, then glue them onto a wreath base. Tie several smaller shells to the ends of some pieces of cord. 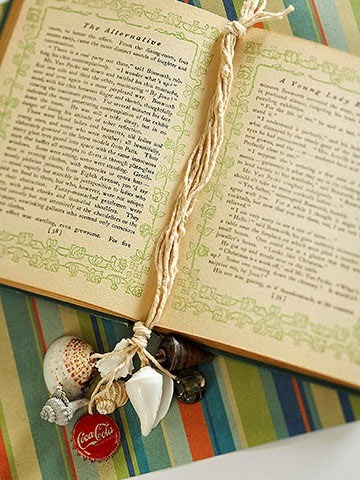 Knot the cords together on both ends to create a beautiful bookmark. 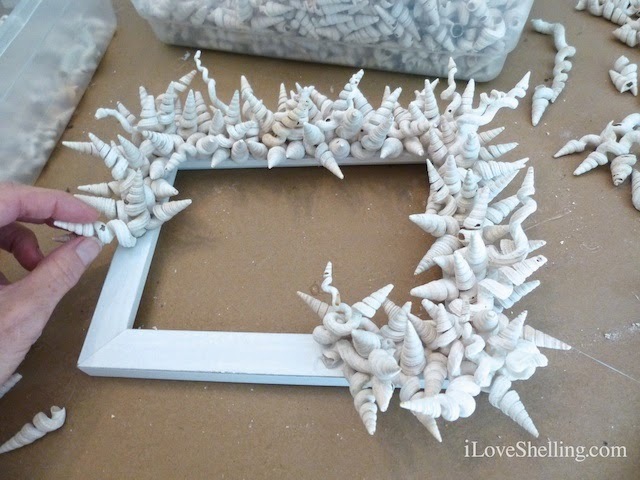 Create a statement mirror by gluing shells all around the frame. 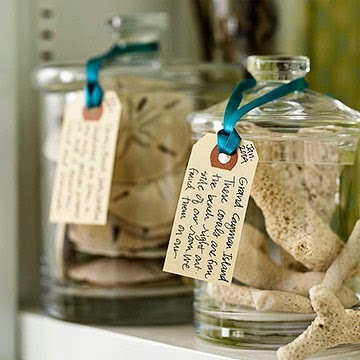 Create memory jars and tie on a tag with a description of the beach where the shell was collected. 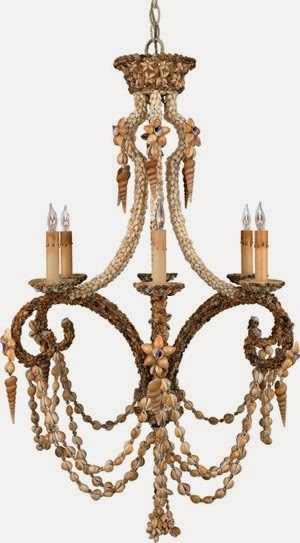 Give a chandelier a makeover, using strands of souvenir shells. Here is another chandelier idea from Very Very Vicky. 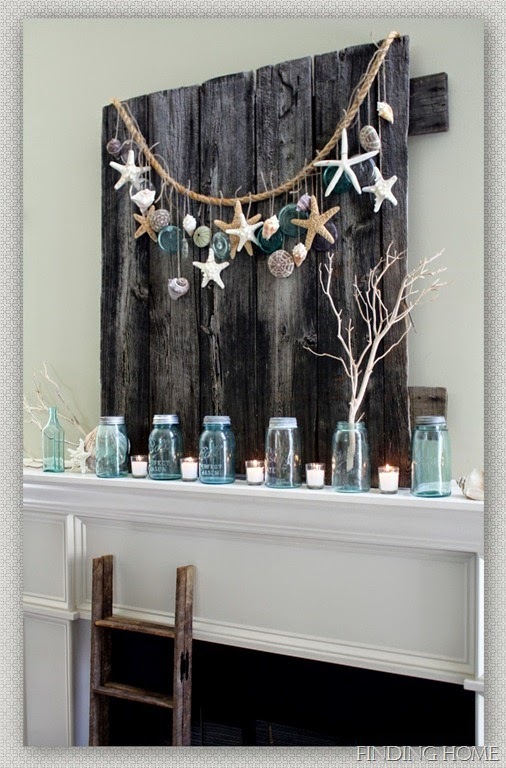 I love the combination of beachy blue paint, tiny shells, and starfish! 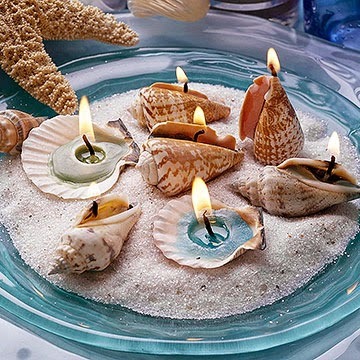 Do you have a collection of shells from various beach vacations? Do you make things with them, display them, or stuff them in a closet? Cool Retro Lamps and Light Fixtures! Best Painted Mason Jar Projects!